This beloved series is perfect for introducing children and young readers to different countries and their landmarks. My tween son and I have enjoyed riding along with PJ Mouse and his family on their excursions. See our reviews on the first two books in this series after the book description. The minute we received these books in the mail along with the stuffed PJ Mouse toy, my son and I were charmed. Although a tween, my son still likes stuffed animals because he is an animal lover. He uses the stuffed animals as characters for his home movies and PJ is now on the acting crew. He is just simply ADORABLE. Soft, cuddly and very fun to manipulate because he is well-made and stuffed with little balls (similar to a bean bag) and so he is malleable. Perfect for little hands. Okay, so on to the books. 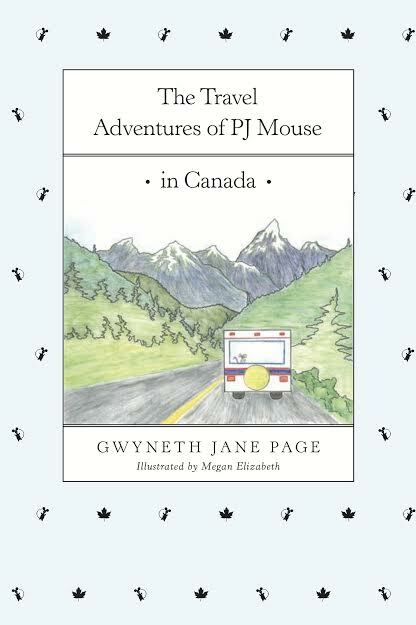 It makes sense that the author would begin her series of The Travels of PJ Mouse with the setting in Canada because she is a Canadian living in British Columbia. Being Canadian ourselves, we were pleased to discover that we had been to several of the places that PJ visited. But who exactly is PJ? He's the little stuffed mouse that a young girl named Emily finds one wet day under a bench. She takes him home, mom cleans him up and from then on he is a part of the family, joining them on their holiday adventures, this time across Canada. My son and I enjoyed the story. We thought PJ was very funny. And his expressions of "Oh dear" and "fiddlesticks" were cute and endearing. He is a mouse that worries, gets lost and ends up in trouble without meaning to. Emily and her family are easygoing, but PJ is the one who internally wonders about things and we read his inner dialogue about what he is feeling when they are discovering new places or things. This is a great way for children to see that it's okay to think about things we may be uncertain about or places that we may be afraid of going to. Through PJ, children may find a funny mouse who asks lots of questions and whose curiosity teaches them that this is the way we can discover the world. The illustrations are simple, done in colored pencil crayon sketches and perfect for this book. They are done by the author's second-eldest daughter who knows PJ first-hand and has been to all the places she drew. I have to mention that there was one scene with a seagull that had me and my son laughing to bits. It was just the way that seagull said things with his lisp that was downright hilarious. My son and I read that scene over and over again laughing so hard every time. The next book in the series takes place in Australia. Another great adventure with PJ Mouse! To read more reviews, please visit Gwyneth Jane Page's page on iRead Book Tours. 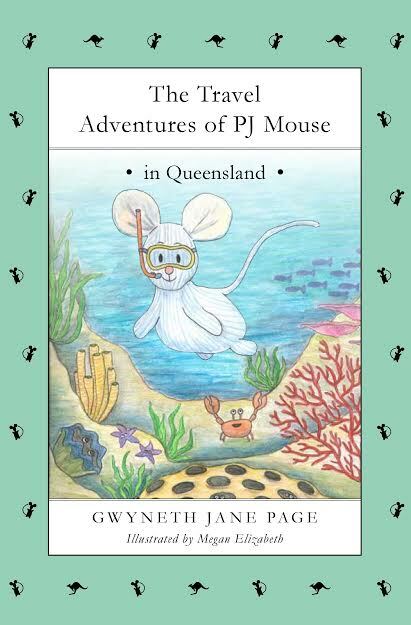 This second book in The Travels of PJ Mouse now takes place in Australia. This time rather than travelling in a fifth-wheel RV, PJ Mouse gets to go to the airport, have his passport stamped and fly in a plane! How exciting! My kids still remember the first time they took a jumbo jet to fly to Europe. It's truly impressive. Along with the book, you can purchase a PJ Mouse passport with stickers so that your child can follow along the trip and add to the passport the sticker of each place they visit. Once again, PJ experiences new things on his travelling adventures with Emily and her family. The best part was the visit to the Great Barrier Reef where PJ snorkels and meets a Loggerhead turtle. We learn more about these turtles and observe with PJ how they lay their eggs at night on the protected beach. And of course, he is rescued once again by a lorikeet bird when he gets lost. Whereas the first book in the series focused more on places, this book focuses more on animals. My son and I enjoyed it immensely. The illustrations in this book are more colorful and detailed than in the first. This series not only has a classical look to them but they are reminiscent of books such as Winnie the Pooh. It's refreshing to find writers who can write these types of books that seem to be dwindling. The next book in the series takes place in England. Another great adventure with PJ Mouse! Look out for our review next week. Megan Elizabeth, Jane's second oldest daughter, has lived in Canada and Australia and travelled extensively with her family and PJ. Having been artistic since she was a little girl, illustrating the PJ Mouse books has enabled her to combine her love of travel with her love of art. Megan completed her studies at VanArts and is now building her career as a professional photographer as well as an illustrator. She currently resides in Victoria, BC with her family. Disclosure: Thanks to the author for sending us these books and PJ Mosue toy for review. We were not told how to rate or review these product. This is the perfect series to read with your grandchildren because you would love it as much as they would, I'm sure!